India skipper Virat Kohli maintained his top spot, while young wicketkeeper-batsman Rishabh Pant and pacer Jasprit Bumrah attained their career-best positions in the latest ICC Test rankings. 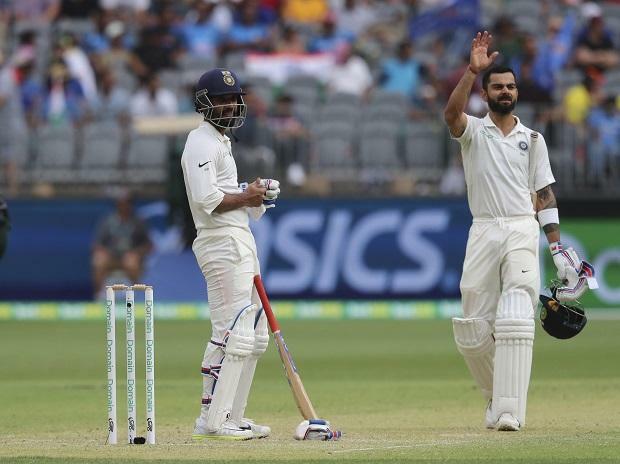 Kohli gained 14 points to reach 934 points after a valiant first-innings knock of 123 in the second Test at Perth which Australia won by 146 runs to level the four-match series. The India captain has thus increased his lead over New Zealand skipper Kane Williamson from seven to 19 points. Pant gained 11 places to secure the 48th spot while India vice-captain Ajinkya Rahane moved up two places to progress into the top-15. In the bowlers list, Bumrah achieved a career-high ranking of 28 while fellow teammate Mohammad Shami moved two places to 24th. Second-ranked Williamson too has something to cheer about after scoring 91 in the drawn first of two Tests against Sri Lanka. He has reached a personal best of 915 points, the joint-25th highest ever and equal with ICC Hall of Famer George Headley of the West Indies. New Zealand opener Tom Latham is another major gainer after an outstanding Test performance of 264 not out that not only won him the Man of the Match award but has also lifted him 15 slots to a career-best 22nd position. Fast bowler Tim Southee is another one to gain from the team. His eight wickets in the match helped him to gain four slots to reach 11th position. There were more movements owing to performances in Perth with man of the match Nathan Lyon's eight wickets helped him grab a career-best seventh place, a position he had also previously attained in October last year. Josh Hazlewood (up two places to ninth) and Mitchell Starc (up one place to 15th) are the other Australia bowlers to move up. Among their batsmen, Usman Khawaja (up one place to 12th), captain Tim Paine (up nine places to 46th) and Travis Head (up 16 places to 63rd) are the ones to move up the ladder after useful contributions against the world's top-ranked Test side. For Sri Lanka, former captain Angelo Mathews (83 and 120 not out) and Kusal Mendis (141 not out) have been rewarded after their match-saving efforts. Mathews gained eight slots to reach 16th place while Mendis has moved up two slots to take 18th position. Among their bowlers, Lahiru Kumara has gained five slots to reach 43rd place after finishing with four wickets.